Zoner Photo studio X is mainly a photo editor, of course. But despite this, its video features have fundamentally improved in the latest update. 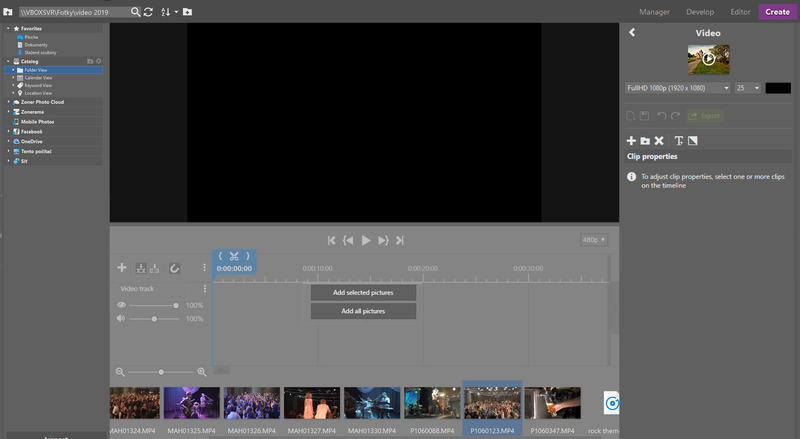 In this article, we’ll go over how the video editor in ZPS X works and what it has to offer. Open your video folder in the Manager and switch into the Create module. Use the last item, Video. Start by setting the resolution that your video will have in the end. The default setting, 1080p with a 16:9 ratio of sides, is also currently the most common. 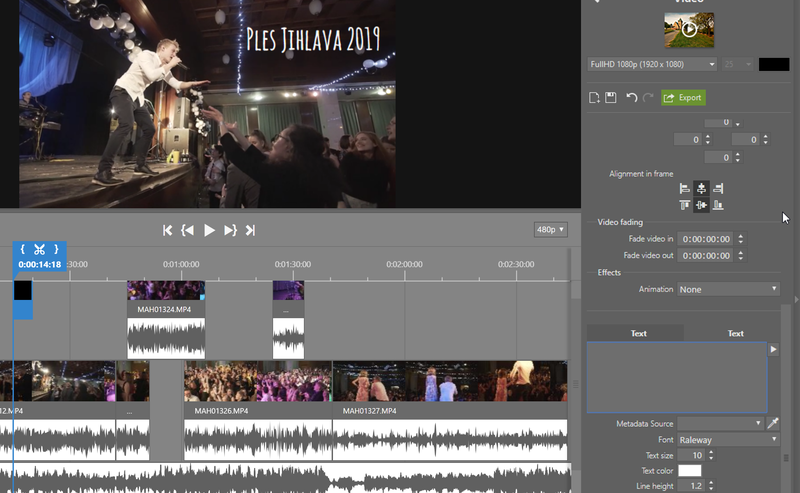 The video editor shows a timeline and a preview in the middle area. The bottom area contains a filmstrip with individual photos and video files, and you use the right panel to adjust the video’s settings. The layout of the video editing tool. 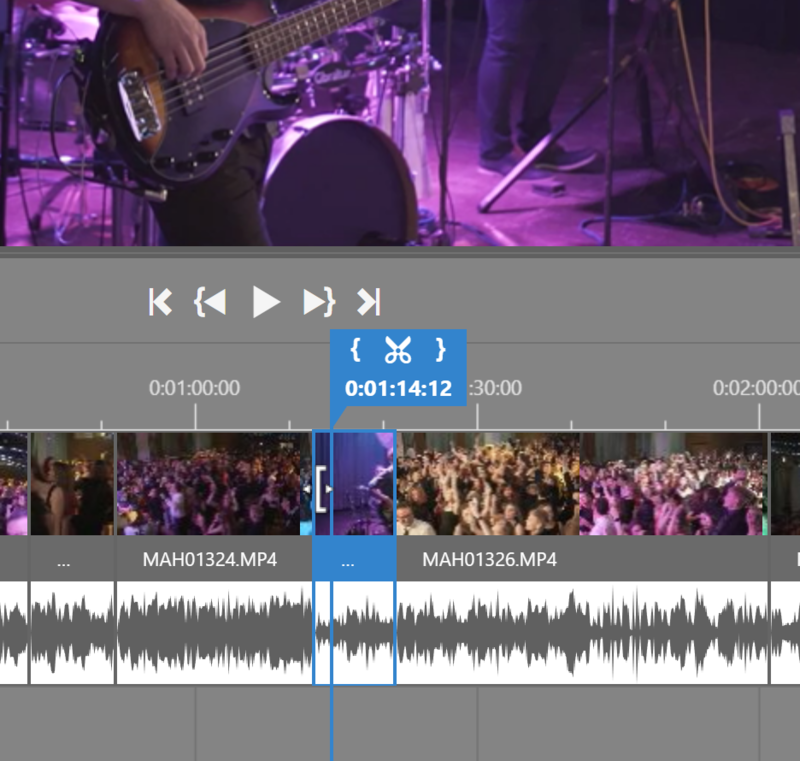 Once the video editing window appears, start by dragging the videos you’ve filmed from the filmstrip into the timeline. 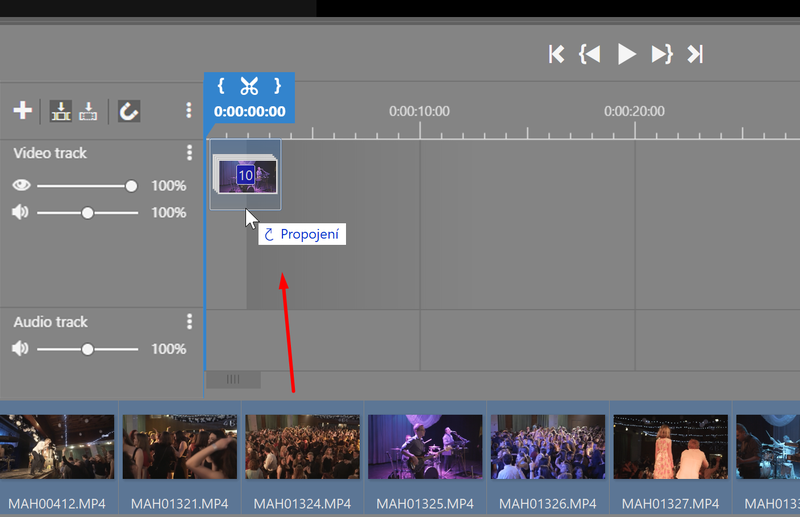 To add video files to a video track, use drag and drop. To shorten individual video clips, drag from their edges towards the center—similarly to when you’re cropping photos. 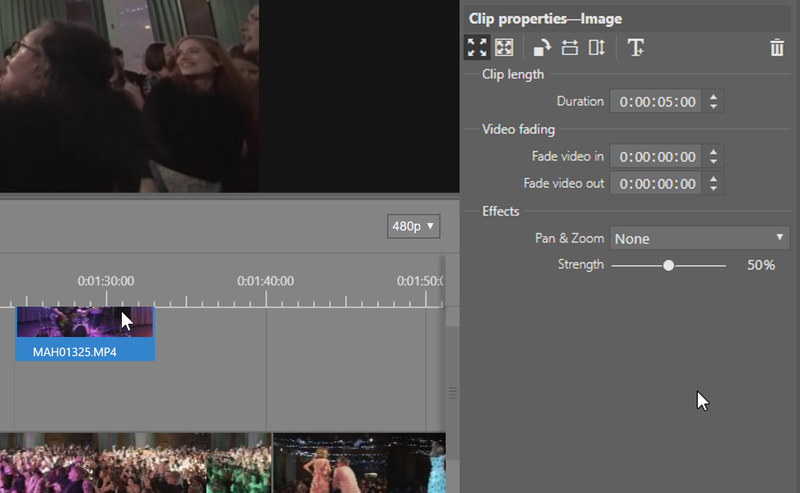 To cut clips, click where you want in the video and press S or click the scissors button. Cut and shorten your video clips. Click and drag your clips to move them around the timeline. When you drag a clip between two tracks, a new track is created automatically. Meanwhile, if you hold down Ctrl while dragging, the clip is copied. It’s convenient to have your videos one on top of another. This opens up possibilities for overlapping, adding text, or composing a video made up of two shots running at the same time. 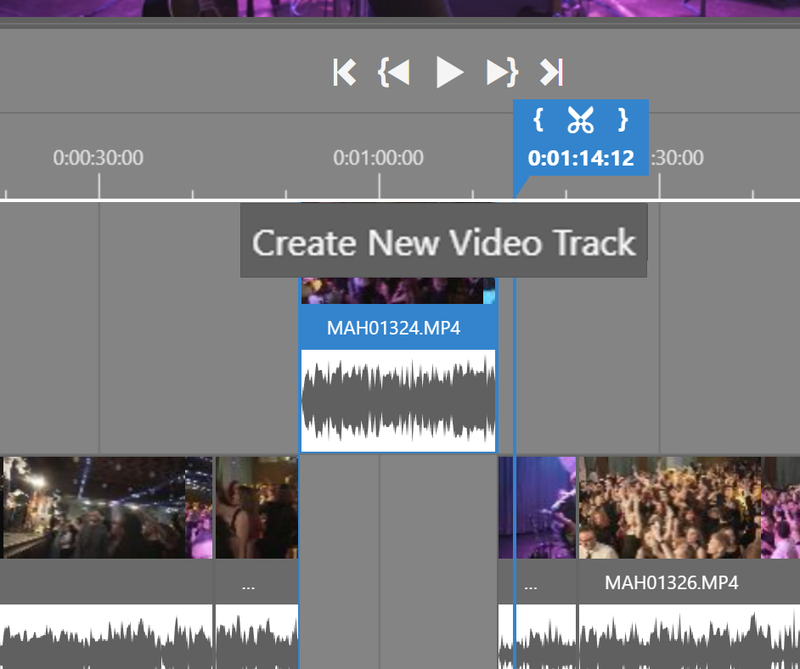 To add a new track, click the + button in the left part of the middle video-cutting area. Or simply drag a clip into space above or below the timeline. You’ll automatically be asked if you want to create a new track. Drag and drop to add a new track. You add music to a video in the same way as you’d add video or photos: by dragging it up from the filmstrip on the bottom. To add a text field, drag a title from the right panel. This opens up text editing tools. 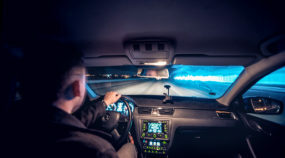 Adjust the text’s size and color if needed, and then use the offset to move the text to where it fits in the video best. A quick, clean transition is a time-tested standard and is usually best. But sometimes a scene will call for a more creative transition. 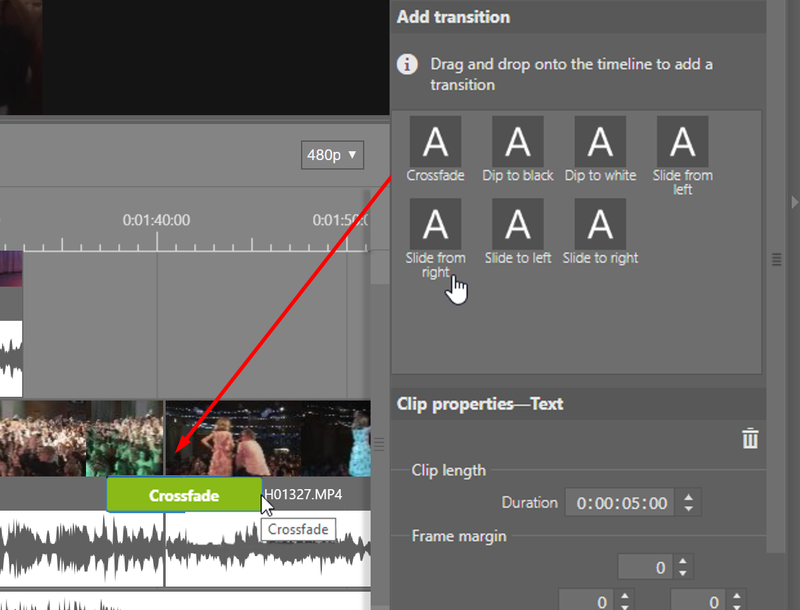 To add a transition between two clips, drag it from the right panel, similarly as you would with text. To change the transition’s length, click and drag from the edge, just like you do when changing the length of a video clip. Adding a transition between clips. Use the right panel to adjust individual clips’ settings. If their ratio of sides doesn’t match that of the video overall, choose how that situation is handled—Fill Frame or Fit Frame. You can also rotate or flip a clip. To slow down speed up a clip, use the Clip Playback Speed setting. You can also adjust the settings for multiple clips at once. To do so, select all of these clips at once on the timeline. Setting clips’ speed and other parameters. If you’re not done yet, but you have to stop working on the video, for now, use Save Project. Once you’re done, click Export to save the final video. Don’t Be Afraid of Video! Let’s face it, even if you’re mainly a photographer, you should have some rough idea of how to shoot and compose the video. So get to it! 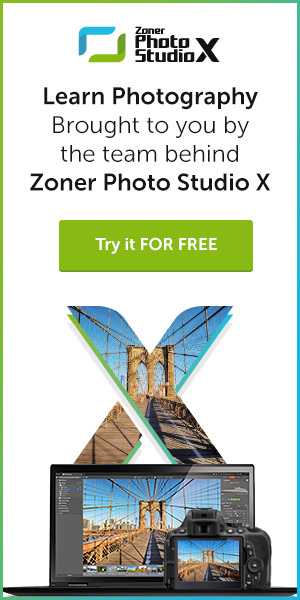 Download Zoner Photo Studio X, try it free for 30 days and compose your first video today.